Re-live your childhood with this faithfully emulated version of Organ Trail for the Apple-II. Organ Trail was an edutainment game developed in 1971. Schools across America used this game as a teaching tool to prepare children for the impending zombie apocolypse and dysentery. Organ Trail is a really great retro remake of the old Oregon Trail game from the Apple II era. As a kid I played The Oregon trail a ton and loved speed-running the game as the Banker from Boston. That said, Organ Trail is a nearly spot on remake that reminds me of the original while doing something very unique. The goal of Organ Trail is to escape from Washington DC during the Zombie Apocalypse with your party and travel to the safe haven that is free of Zombies. You start the game with 4 people in your party and a station wagon. The game allows you to outfit your party with supplies and this is the first chance you have to drop your strategy into the game. Do... Read All Organ Trail is a really great retro remake of the old Oregon Trail game from the Apple II era. As a kid I played The Oregon trail a ton and loved speed-running the game as the Banker from Boston. That said, Organ Trail is a nearly spot on remake that reminds me of the original while doing something very unique. The goal of Organ Trail is to escape from Washington DC during the Zombie Apocalypse with your party and travel to the safe haven that is free of Zombies. You start the game with 4 people in your party and a station wagon. The game allows you to outfit your party with supplies and this is the first chance you have to drop your strategy into the game. Do you go for more bullets and less food? Do you go for a little bit of everything instead? Personally I go for a few more bullets, no food and try to get about 3 of each car parts. Immediately I start scavenging for food as it isn't too hard to obtain. I make some trades and once I feel like I am ready, I start the journey. One of the things I enjoy the most about Organ Trail is the graphics and art style. Organ Trail mixes the big blocky sprites from the Apple II and NES. One main staple of the game is scavenging for supplies and the game provides a few back drops that change as you make your way across the zombie infested US landscape. Some people might fault the game for being "too old looking" but I find that part of the games immense charm. Organ Trail is ported to just about every platform that matters with Mac, Linux, PC, Android and iOS. I've played it on Mac and Linux and it runs great on both platforms. The Mac has a slightly better interface for selecting what resolution the game should run in as I didn't notice anything like that on Linux. That said, the Linux version works very well and I saw no particular issues with it. 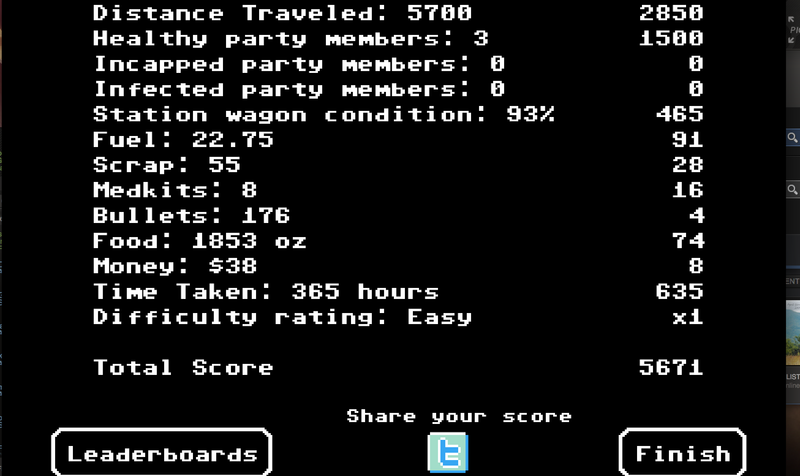 The majority of Organ Trail plays like you would expect. A few menus confused me but after a few times through the game, it was fine. One fairly large gripe I have with the game is in with the gun targeting. I expected the game to work like the original Oregon Trail, you just lined up the gun and shot it. 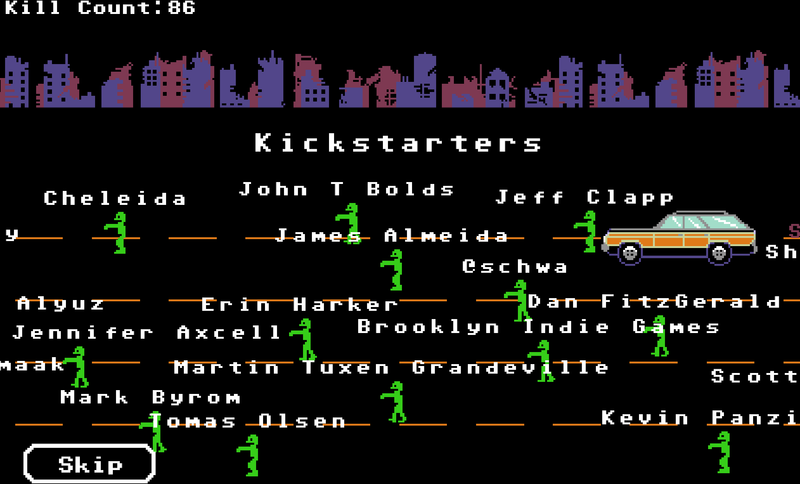 Organ Trail changes things up by making you line the player up and clicking and dragging back to the player to shoot. I imagine the gameplay is this way to make it work similarly on Phones and Desktops but on the Desktop it is just strange. I have figured out a pretty good work around for scavenging and do very well now, but I would prefer a simpler interface. That said, it's the games only major flaw as I see it and it is something you can easily work around. The game difficulty modes are really fair but for your first game I recommend playing on easy. Going through first on easy allows you to get used to what the game throws at you and its not so hard as to be soul crushing. Organ Trail is an absolutely amazing game. I would consider it a nearly perfect game if not for some gameplay issues listed above. Organ Trail fits the spot for a game that is a ton of fun if you want to kick back on the couch and its a game that I imagine i'll be playing for quite some time. After having played through it a few times, have you found out what the clock is for? Is there any reason to not stop at each town for a couple days and heal everyone up? No use for the clock that I know of, save try and beat your personal best or for speed-running. I usually spend as much time in town as I need. 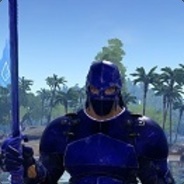 Some times I need to grind for supplies, but I am mostly just doing it because I want more than I need. I don't like living on the edge. You're running from zombies. Your life is on edge enough already!